Host Security Service (HSS) is designed to improve the overall security for hosts. It reduces intrusion risks with asset management, vulnerability management, intrusion detection, and baseline inspection functions. $138.00 USD/host/year for Enterprise Edition. Purchase 3 years to enjoy a 50% discount. Detection and protection functions are provided on the same page to simplify management. HSS provides complete protection for your businesses, including pre-event prevention, during-event defense, and post-event detection. Advanced detection technologies and an extensive sample library contribute to the defense accuracy. HSS agents occupy few resources and do not affect the running performance of your hosts. The Cybersecurity Law of China requires network operators to have intrusion detection capabilities. HSS provides the intrusion detection capabilities to help you meet regulatory requirements. Detects brute force attacks and blocks source IP addresses for 24 hours to ensure host security. Using a comprehensive vulnerability library, detects system and software vulnerabilities to help you identify hidden security issues. Checks running programs to identify malicious programs such as webshells, Trojans, and worms. 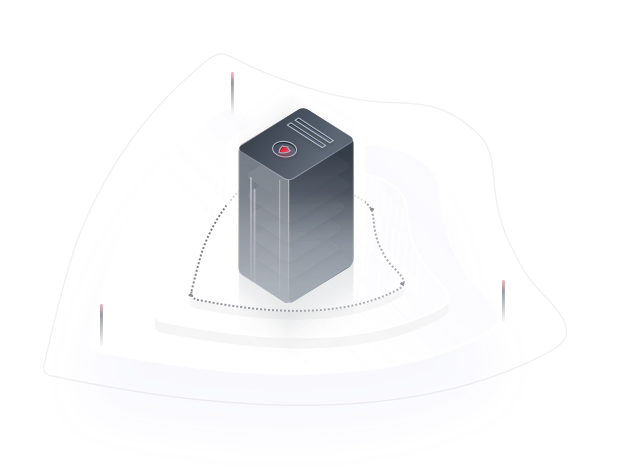 Centrally manages the security configurations and events of all your hosts on one console, reducing ECS management costs and hardening security. Easy operations of HUAWEI CLOUD, hybrid cloud, and on-premises servers in one unified environment. Provides various detection functions, helping you quickly and accurately identify risks. Manages security configurations of hosts on one page, pushes configurations to all hosts simultaneously, and improves user-friendliness in security event management. Detects risks (such as weak passwords and malicious programs) and prompts users to harden their systems accordingly. Comprehensively inspects systems for potential problems and offers tailored solutions. Uses cutting-edge detection technologies and a constantly updated sample library to pinpoint all security issues. HSS supports two-factor authentication (2FA) and offers 24/7 account protection before, during, and after attacks, preventing brute force attacks and keeping ECSs secure. Detects weak passwords and prompts you to change them, preventing potential security issues for ECSs. Supports 2FA to prevent brute force attacks. Monitors account security in real time and blocks attackers effectively. Warns about risks and attacks in real time so you can handle them immediately. HSS collects and displays host asset information to simplify host security monitoring and management. HSS detects system and software vulnerabilities to quickly identify potential risks. HSS inspects your system configuration to reveal security risks. HSS detects intrusions in real time and issues warnings immediately, allowing quick response to security events. HSS protects web pages, documents, and images on your websites against tampering and sabotage. What Is Host Security Service?